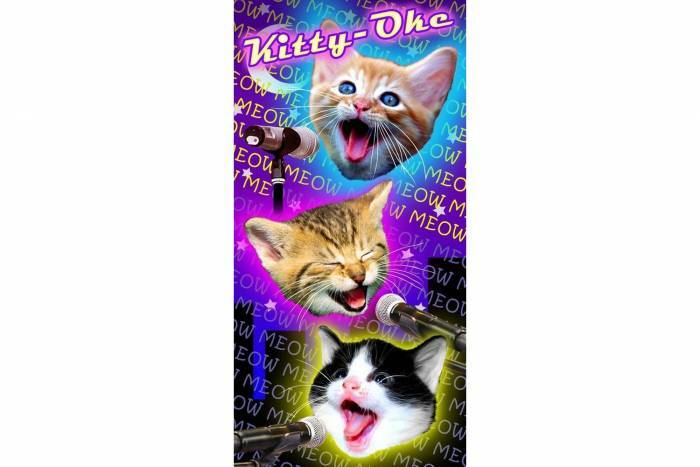 From speed-hungry superbikes to cat meme towels, here’s your guide to gear for your first triathlon. If you’re thinking about trying a tri this summer, the gear can be a bit intimidating. Likely, you have most of what you need for at least one of the three sports involved: swimming, biking, and running. But you’re probably getting caught up on what you really need to survive the other two disciplines. This is the no-BS guide to everything that you need for a successful first race. 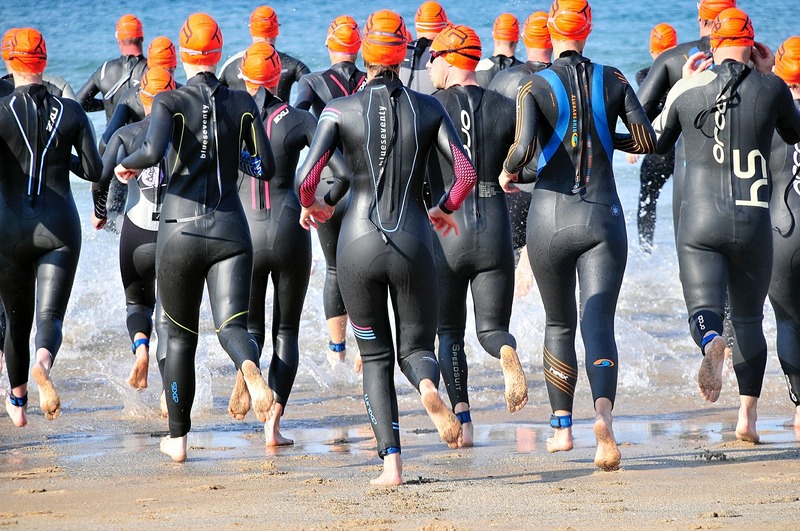 What Do You Wear In A Triathlon? There are a few options here. You can run it cheap and race in a bathing suit, or you can run it comfortable and actually switch clothes (using a towel for privacy!) in the transition area between events. For long-distance events like Ironman, you actually have the chance to get into a changing room and swap clothing. But for anything under Ironman distance, a good tri suit is your best bet. There are one- and two-piece options, and the shorts will have a thin chamois to cut down on chafing. It won’t be so much padding that it hinders your running or acts like a sponge during the swim. A one-piece option with men’s and women’s versions available, this is a great starter tri suit in a nice, neutral black. Beware of back zippers when shopping around: Some one-piece suits inexplicably come with a back zip, making race day port-a-potty visits a giant hassle. Luckily, this suit has a front zip, so line up freely. Available in men’s and women’s versions, these simple black shorts have a thin chamois, the brand’s custom triathlon-exclusive KISS Tri. 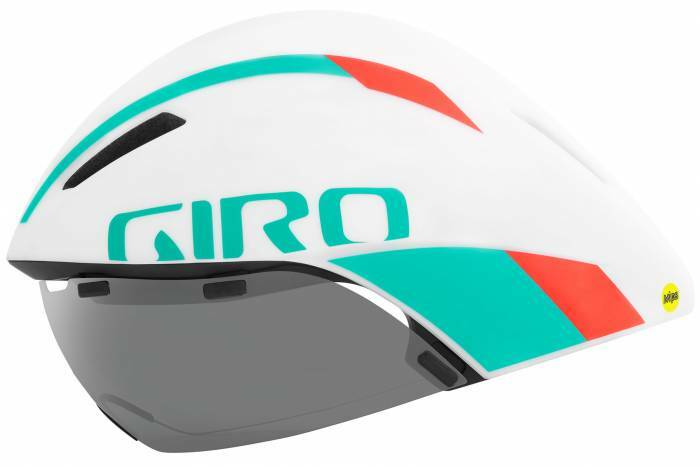 You can run freely (hence the name) while having a thin pad to keep you comfortable on the bike. No chafing issues here! If you prefer the shorts and jersey combo to a one-piece, sticking with a sleeveless jersey is still important, as you’ll be swimming in it. This particular jersey has built-in sun protection and is made for maximum water shedding as well as aerodynamics. This gear is what you’ll use when setting up for biking and running. And while something like Evoc’s Transition Bag is great, any backpack or duffel will do when it comes to toting your gear. Something brightly colored that you can lay on the ground to mark your area will give you something to wipe your feet on as you come out of the water. And if it’s ostentatious enough, it can help you spot where your space is when you’re done swimming. On race day, the last thing you want to worry about is rubbing on sunscreen while in transition. But if you’re prone to sunburn, a reapplication after you get out of the water, and possibly again after you finish your ride, is a smart idea. 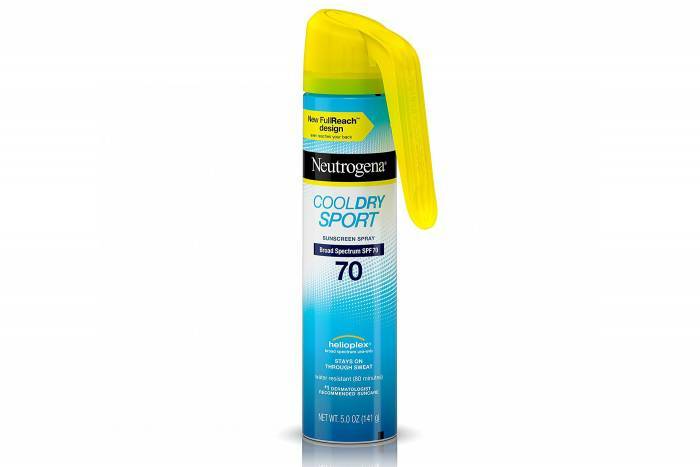 Spray it on before the race, making sure to move your sleeves and shorts up and over to hit all skin that could be exposed by shifting clothing. 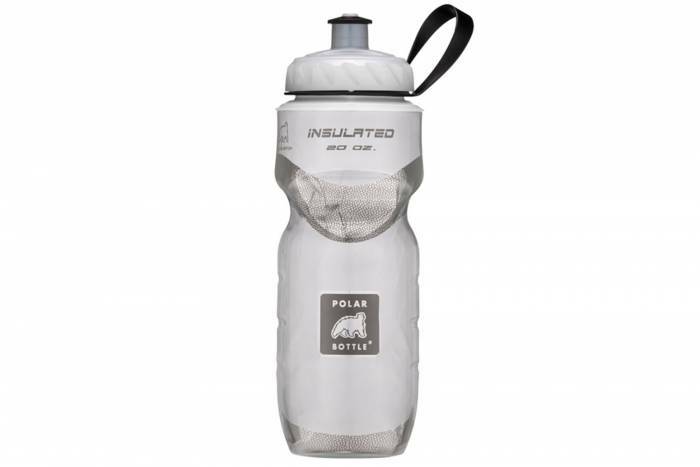 Leave the spray bottle in transition to at least hit your shoulders and nose during the race. If you live in a warm area, swimming can be the least gear-heavy of all the disciplines. Some races actually don’t allow wetsuits due to warm water temperatures, and in those cases, all you’re going to need is a pair of goggles. But most races will allow for wetsuits. If you’re a nervous swimmer, a wetsuit can add buoyancy to give you a bit more confidence when you sprint into the water. If the conditions allow for wetsuits, unless the water is going to be frigid, a sleeveless suit should suffice. 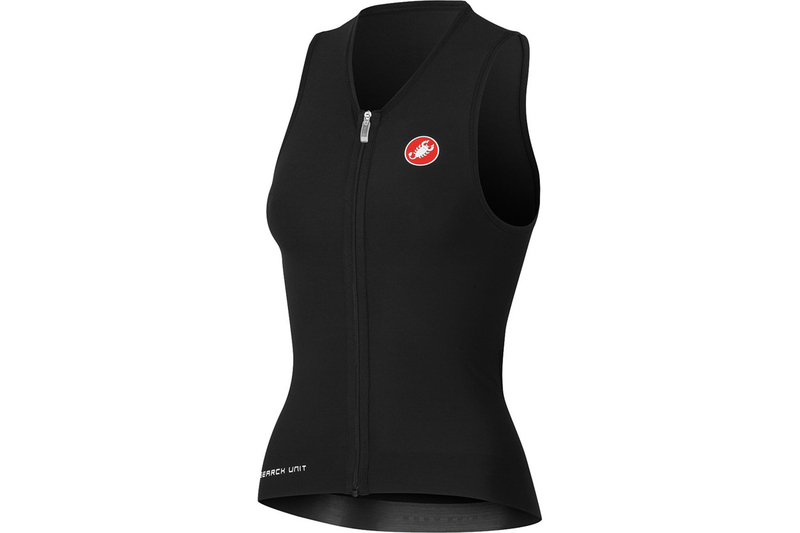 (Many new triathletes find that a full-sleeve one feels too constricting.) XTERRA has men’s and women’s versions of the Volt, a great midprice option that fits well and provides enough coverage and buoyancy to make you feel confident in the water, not trapped. Keep an eye peeled for sales, as you can often get this $250 wetsuit for up to half off! Everyone’s face shape is slightly different, so you might need to try a few pairs before you find the perfect goggles for you. But with a slightly wider profile and rubber grippers, these TYR goggles are a much-loved option and a great starting point for most swimmers. 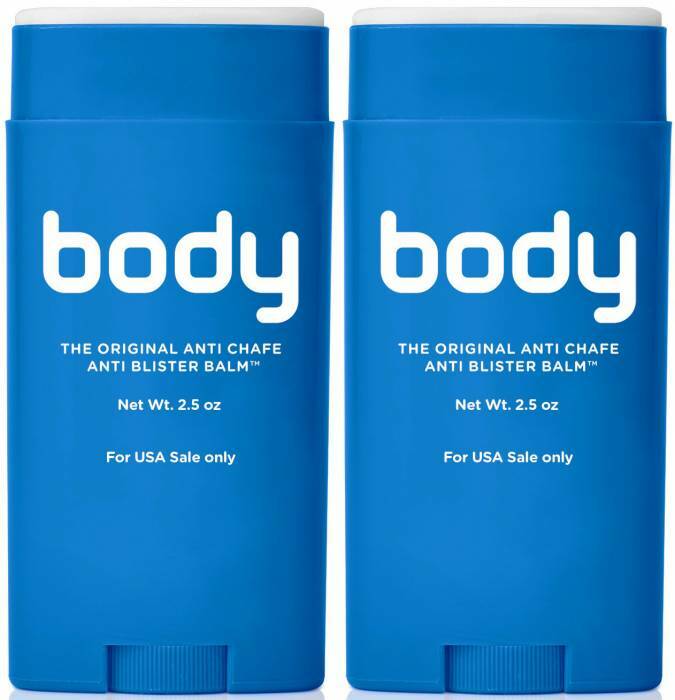 This stick looks like deodorant, but it’s actually an anti-chafing balm that you can apply to avoid chafing and reduce the time it takes to take off your wetsuit off after the swim. 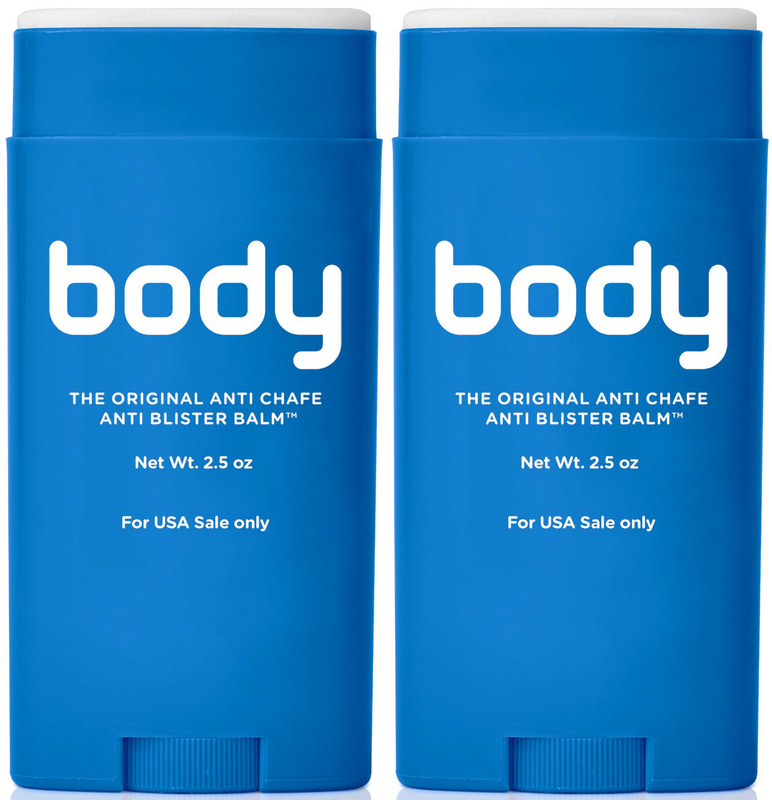 Apply it around wrists or your shoulder/underarm area, depending on where your wetsuit hits, and around your ankles. You’ll be glad you took the few seconds to do this when you come out of the water and your wetsuit slides off. There are so many great triathlon bikes on the market that the list would take up this entire article if we went through them all. When starting out, you have a few options. You can opt for riding a normal road bike (or even a mountain bike if you’re really just starting out and don’t care about your times! ), you can make your road bike more aerodynamic by adding clip-on aero bars, or you can get a time-trial (or triathlon) bike. 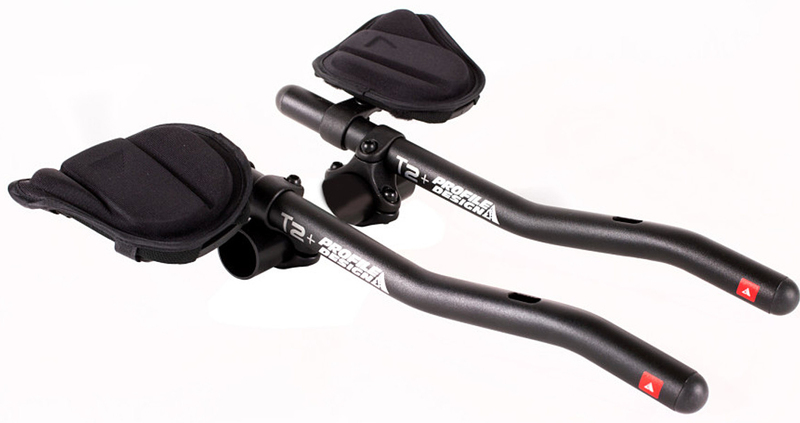 Make any bike more aerodynamic by installing aero bars like Profile Design’s T2 bars. You can either quickly install them and leave shifting on the hoods, or you can opt to have a shop add shifters to the ends of the bars so you can stay aero while shifting. What’s great about this set of bars is that you can test out the aero position, and maybe hit a race or two, leaving your shifting normal and saving money by avoiding an in-shop installation. But if you do decide to make the upgrade, you don’t need a new set of bars to do it. 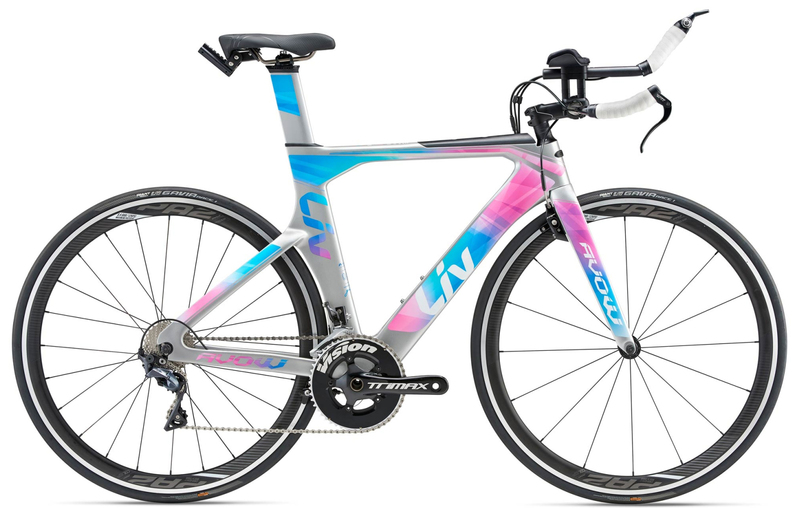 Admittedly, triathlon and time-trial bikes are not cheap. 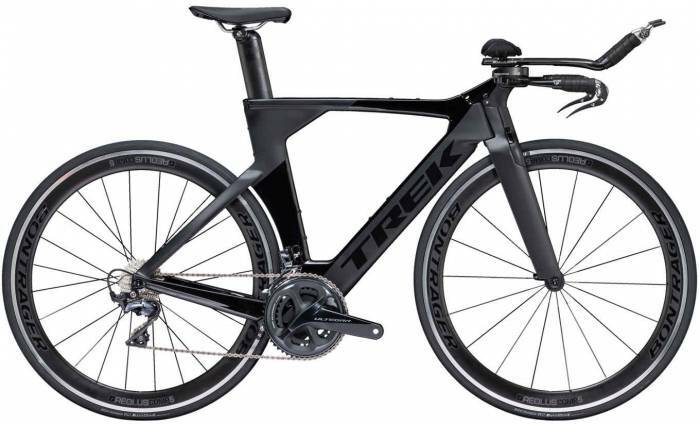 The Speed Concept from Trek is a matte-black racing machine with all the bells and whistles: an integrated set of aero bars, a triathlon-specific saddle, and aerodynamic Bontrager Aeolus 5 Comp TLR wheels. 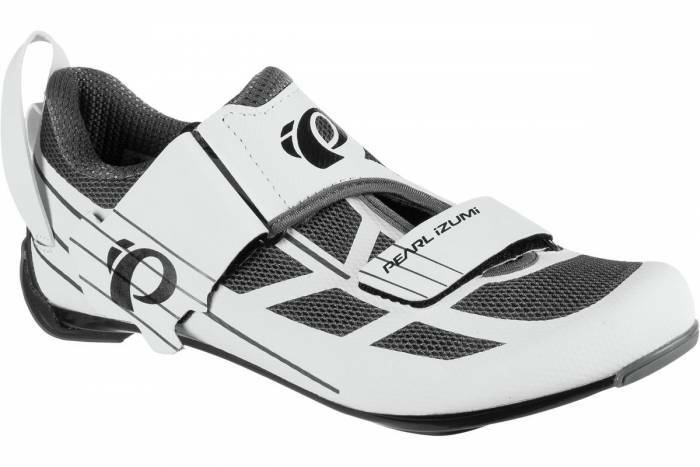 Triathlon-specific shoes are, again, not a necessity if you already have shoes for your road bike. But they’re nice to have because they’re designed to be easy-on, easy-off for a faster transition. They also tend to be more aerodynamic than some road shoes and most mountain bike shoes. And compared to most road shoes, they tend to have a slightly wider toe box in order to make your transition to running a bit less painful. The Pearl Izumi Tri Fly is an inexpensive upgrade if you need a new pair of shoes but don’t want to commit to a pricier model. Available in men’s and women’s versions. It’s tempting to run your bike as light as possible, but make sure you don’t end up stranded on the side of the road. Carry a flat-fixing kit that contains the bare minimum, like this Lezyne kit with a CO2 cartridge and a few tube patches. 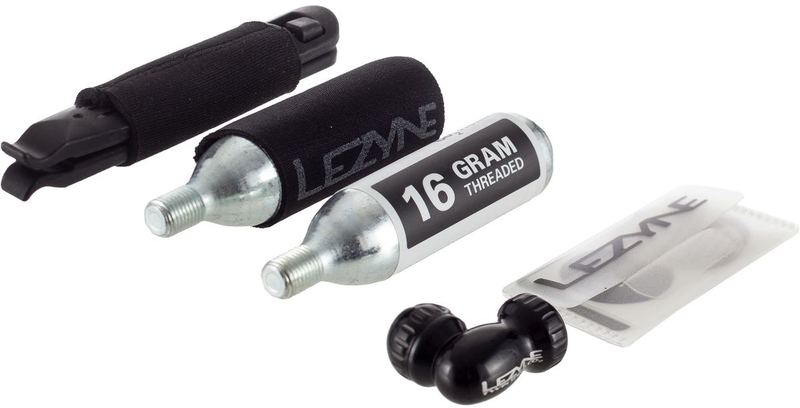 Your tri suit doesn’t have pockets, so you’re going to want a low-profile saddle bag to store your repair kit. 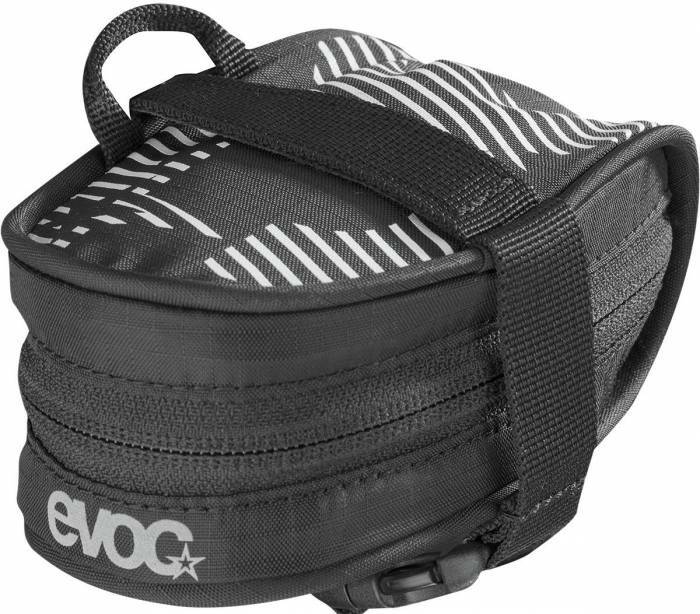 This tiny Evoc bag tucks neatly under your saddle. Luckily, the run is the least gear-heavy sport. So by the time you hit this third discipline, you’re close to done with shelling out the big bucks. But there are a few things you’re going to need — and don’t forget to reapply sunscreen in transition! You’re not going to want to race with your number pinned on your tri suit the entire time. It’s uncomfortable in the water and annoying on the bike. 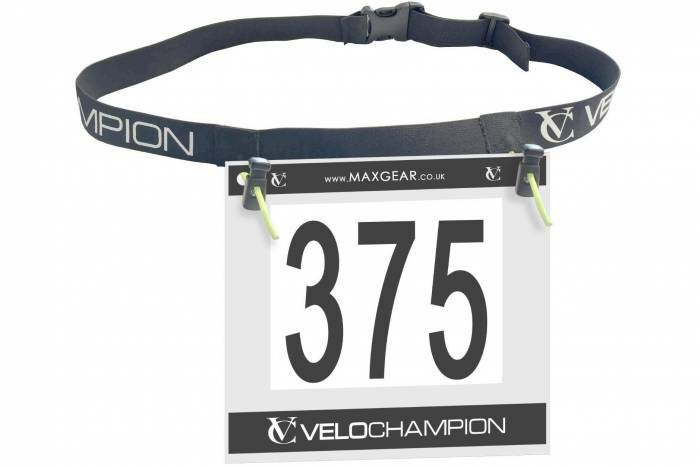 Get a number belt so you can clip it on in transition before you start your run. While running shoes are highly subjective and you’ll likely need to try a few, Nike’s Free line is a good place to start. 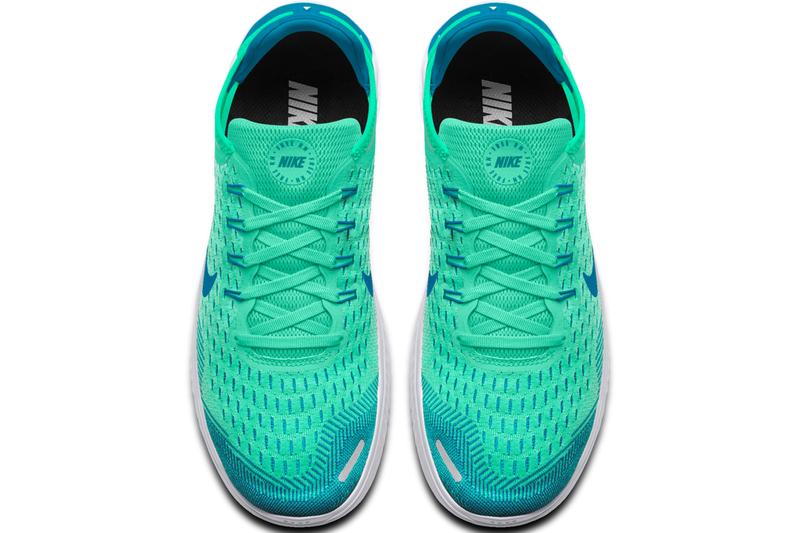 These shoes have an extremely neutral fit, long-lasting soles, and a huge array of colors and styles (for the more fashion-forward racers!). They’re one of the most popular options out there — and one that Nike’s been making for years and years. 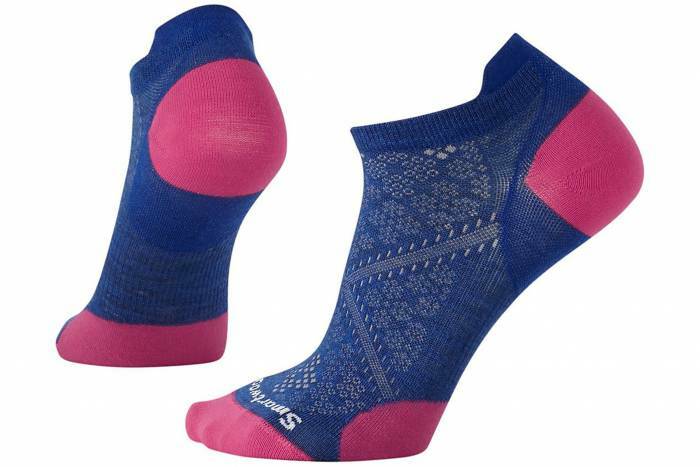 These ultralight socks are a great option if you’re prone to blisters. They’re quick-drying, won’t get in your way, and super easy to pull on and adjust. This might seem like a minor detail, but when you’re stressed in transition, that can easily save you 15 seconds. It’s a minor addition but makes a huge difference in terms of comfort. 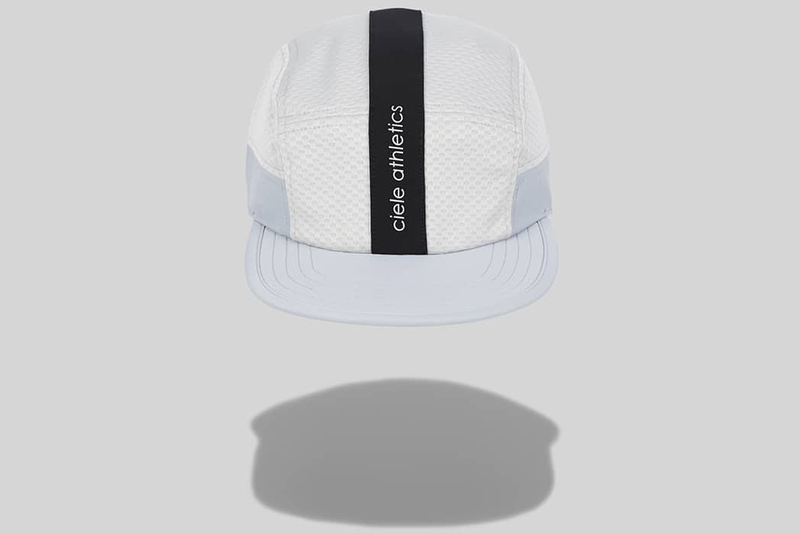 Adding a sweat-wicking hat is great for avoiding the stinging eyes caused by dripping sweat. And for anyone who suffers severe helmet hair issues, this solves the race-day photo problem. Ciele’s caps are also hella stylish, last forever, and come in a whole host of awesome colors and patterns!